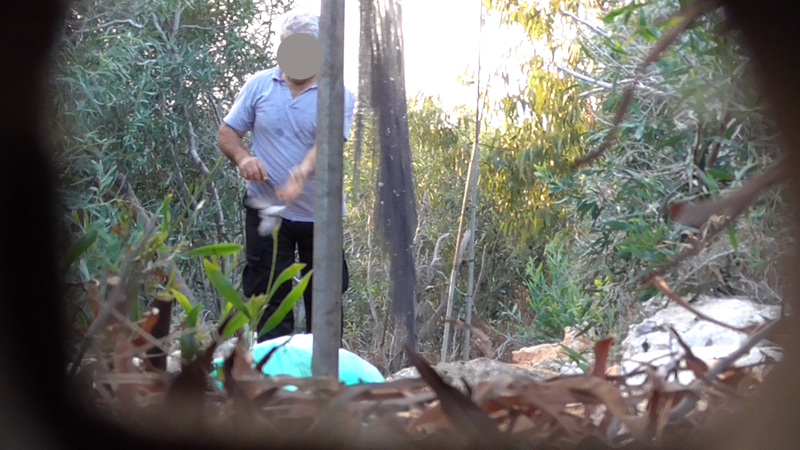 Back in March I provided an update on events in Cyprus, outlining the use of covert cameras by RSPB Investigations unit and Sovereign Base Area (SBA) police in autumn 2016 to catch bird trappers. Myself and a colleague installed covert cameras at seven locations with the Eastern Sovereign Base Area (ESBA) which showed 19 individuals removing struggling birds from mist nets, then killing them with knives before tossing the bodies into bags. These nets were set in areas planted with non-native acacia and used electronic calling devices playing birdsong to lure the migrant birds into the nets. During 2017 the legal proceeding against these individuals have taken shape. In April, I attended a meeting with senior officials and the prosecutor in Cyprus and it was clear how much effort was being made to try to ensure these cases were well presented to the court. Faced with the damning footage it is not surprising that several of the trappers entered guilty pleas. During this week eight men from three of the operations, code named ‘Jar’, ‘Jasmin’ and ‘Jumbo’, pleaded guilty at the court which covers this British military base. The graphic footage had shown them catching and killing over eighty birds and it was clear from the footage that many more birds were caught in other mists nets being operated nearby but out of view of the covert camera. On Monday 12 June 2017, in relation to operations ‘Jar’ and ‘Jasmin’, six men appeared at the Dhekelia Court within the ESBA for sentencing following earlier guilty pleas to a number of offences. The three men from Operation Jar were each fined a substantial 2500 Euros: well above the average fine for these offences. The footage showed them beating the bushes with long poles in order to flush migrant birds into the mist nets. Over 25 birds were caught and killed from the main net over three days, with other nets also in use. The three males from Operation Jasmin were fined 1540 (two men) and 820 Euros. The footage related to two mist nets and showed over 40 birds being caught and killed over two days. I believe these fines were something of a shock to the local trapping community. While it is hoped this may start to act as a more meaningful deterrent it may also bring additional problems. There have already been significant demonstrations on the ESBA by the local pro-trapping community to prevent work to clear the non-native acacia. In the long term it is essential these killing fields are removed from the ESBA to tackle the high levels of illegal trapping that remain in this area. Following the cases on Monday, at around 3am on Tuesday morning an explosive device was thrown into the SBA police compound from a passing motorcycle. One officer received some minor injuries and fortunately nobody was more seriously hurt. Whether this was as a direct result of the events in the court the previous day is unknown, but it clearly demonstrates some of the tensions that exist on Cyprus and the difficult, and sometimes dangerous, work which the SBA police have to undertake. The final case was dealt with earlier today (16 June), and the two men Operation Jumbo were fined 1200 Euros and interestingly also received a four month sentence suspended for three years. This now puts both men in a very serious position if they intend to carry on bird trapping. There are still several cases to deal with and we will report on these in due course. On a personal note I would like to thank the work of the SBA police and the prosecutor who presented the evidence to the court. The project was run with the support of BirdLife Cyprus and with funding provided by the Oak Foundation.